There is no busier time for entertaining in your Modern home than during the Holiday Season. Finding the right decor and approach to the Holidays can be difficult when you spend so much time and attention to your interior space throughout the year. If you are on the hunt for a Christmas Tree that will look right at home we have found an instant classic for you. Modern Christmas Trees have a variety of sizes, colors and even custom options to help you make a lasting impression on your guests and neighbors for many years to come. 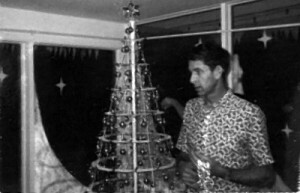 The designer of the Modern Christmas Tree was actually a successful architect and engineer who built A-frame homes in the Rocky Mountain region of our country. Lawrence “Bud” Stoecker’s trees were first created in the mid 1960’s and continued to change and evolve in design over the years to follow. These trees are made from durable and lightweight acrylic and come in a variety of sizes and color options. This year has been a very busy year for Modern Christmas Trees and many of the trees are going fast. This Season the most popular color has been white followed closely by the Sapphire color. Many of the orders this year are gifts. Each tree ships with an LED light, mirror ball with battery-powered rotation motor (watch the videos of these in action! ), many ornament options, and an installation kit. A great option for those with limited space or in search of a tree that is a bit less intrusive on their space, a half-tree might be the perfect solution! If you have the space and want you and your guests to enjoy one of the larger trees they are available in 7.5 ft and 6 ft. sizes. My first question to the folks at Modern Christmas Trees was how much space they take up when not in use. These trees collapse completely flat so no more giant box to cram your old aluminum tree into year after year! Shop all of the color and size options here over on their website. Custom orders are also an option. With little to no assembly and a HUGE impact from these unique trees your Holidays just got more fabulous! We would love to see your unique homes all set up for the Holidays feel free to email us photos of your space. Want to be celebrating the Holidays in your own Mid-Century home by this time next year? Call us today and let’s start the conversation 714.376.0212. 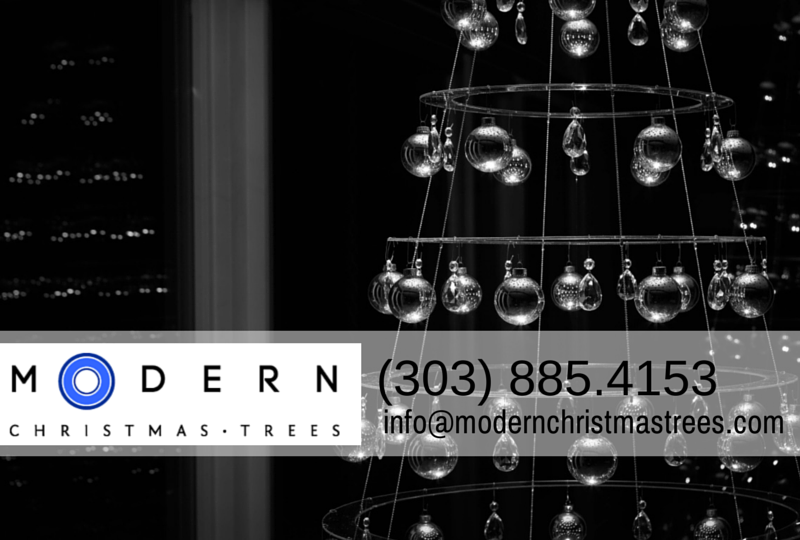 You can reach Modern Christmas Trees at 303.885.4153 or email them at info@modernchristmastrees.com have a fantastic Holiday!